Windows 1.0 Alpha support for running DOS applications under Windows though PIF Files. 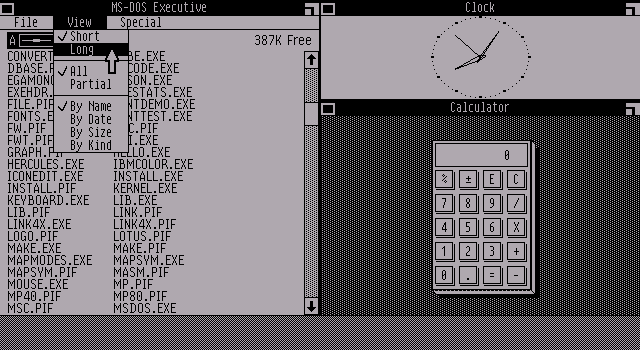 Windows 1.0 Alpha have PIF File Editor. In Windows 1.0 Alpha to be able to run COMMAND.COM in a window under Windows, you must add the line command.com = 32 to the [pif] section of USER.PRO. Without this line, COMMAND.COM will, depending on the DOS version used, either hang at a black screen, or it will run in fullscreen and will hang when you try to return to Windows.